Abstract New technologies now offer teachers alternative models of collaboration with schools overseas, but how effective are they as professional development opportunities? The experiences of 18 specialist primary and secondary teachers in the Teachers' International Professional Development Programme who visited schools in the USA were investigated as they set about establishing collaborative projects with their hosts. The focus was on the potential of such collaboration to engender professional development outcomes and to investigate the circumstances enabling or impeding success. Data were collected by means of questionnaires and interviews, both during the visit and for 20 months after return. A surprising result was the small number of teachers who managed to start a collaborative project. One of the more frequently cited reasons for lack of progress was technical problems, and this was with a group of teachers who were information and communications technology specialists. Other inhibitory factors were lack of time and lack of funding. However, additional examination reveals other benefits arising from the exercise (e.g., in terms of professional development of a broader kind), including a range of factors that could maximize the success of future projects. Shaughnessy, J., Ross, P. & Jackson, A. (2008). Baptism by firewall? Computer-mediated collaborative projects as professional development opportunities for teachers. 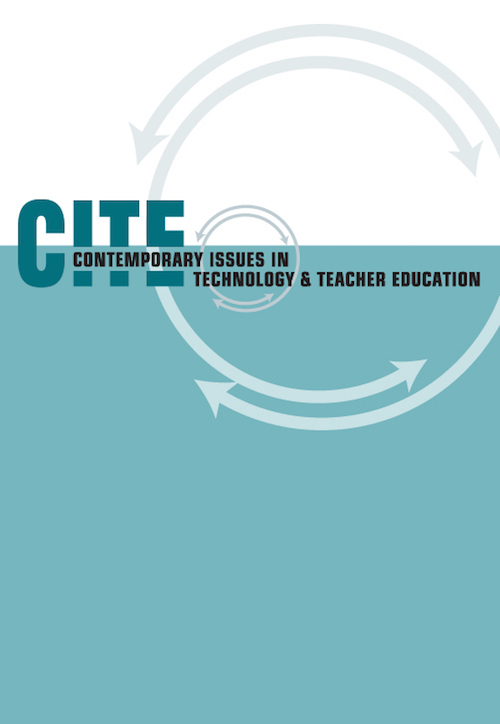 Contemporary Issues in Technology and Teacher Education, 8 (4), 367-393. Waynesville, NC USA: Society for Information Technology & Teacher Education. Retrieved April 23, 2019 from https://www.learntechlib.org/primary/p/24482/. Austin, R., Abbott, L., Mulkeen, A., & Metcalfe, A. (2003). Dissolving boundaries: Crossnational co-operation through technology in education. The Curriculum Journal, 14(1), 55-84. Bowman, I., Boyle, B., Greenstone, K., Herndon, L., & Valente, A. (2000). Connecting teachers across continents through on-line reflection and sharing: An international group of teachers discusses the collaborative development and benefits of an on-line mentoring exchange. Tesol Journal, 9(3), 15-18. Department for Education and Employment. (1998). Teachers: Meeting the challenge of change. London: Author/Stationery Office Ltd.
Department for Education and Skills. (2001). Teachers’ International Professional Development: Getting the most from TIPD. London: Author/Technology Colleges Trust. Easton, C., Whitby, K., & Harris, S. (2003). Evaluation of the Teachers’ Professional Development Programme (TIPD): Phase 2, 2002-2003. Slough, UK: National Foundation for Educational Research. Foley, G., & Schuck, S. (1998). Web-based conferencing: Pedagogical asset or constraint? Australian Journal of Educational Technology, 14(2), 122-140. League for the Exchange of Commonwealth Teachers. (2001). LECT Annual Review 2000-2001. London: Author. Purves, R., Jackson, A., & Shaughnessy, J. (2005). A longitudinal study of teachers’ professional development through an international exchange. Journal of In-Service Education, 31(3), 575-567. Saunders, N. (2003) Nothing could be finer than to study Carolina ... Promoting professional development through an international study visit. Education 3-13, 31(2), 4043. Selwyn, N. (2000). Creating a “connected” community? Teachers’ use of an electronic discussion group. Teachers College Record, 102(4), 750-78. Wood, D. E., & Anderson, J. (2003). Towards the learning profession: Identifying characteristics of successful continuing professional development in schools. Management in Education, 17(5), 21-24.